What is that thing on the wall? 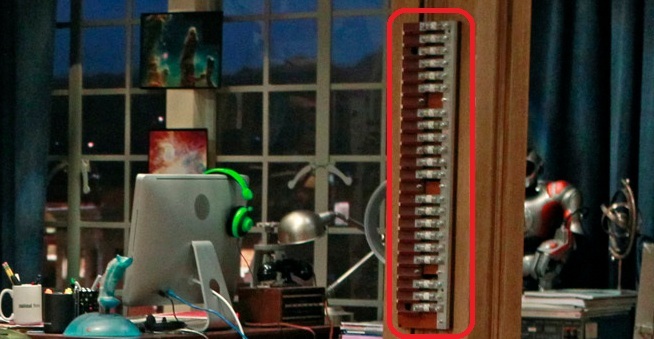 I can identify just about everything I see on the show, but in Sheldon's and Leonard's appartment, there is an object on the wooden post in the livingroom that is on left as one would face the hallway to the bedrooms. I am watching the pilot now and it is not there. 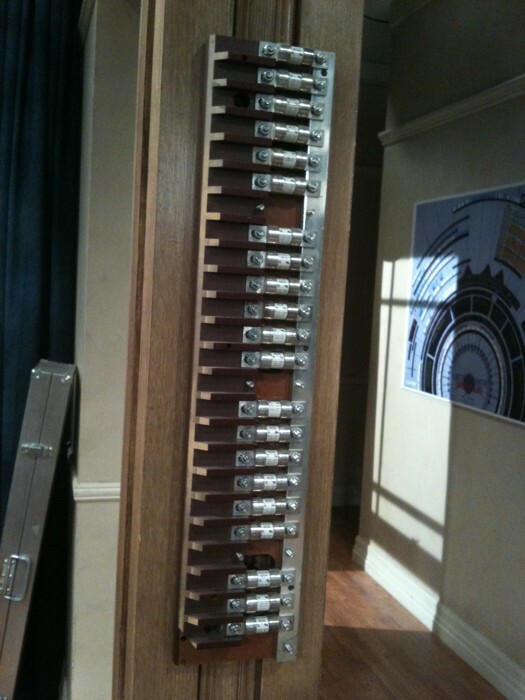 It looks like some kind of fuse array but there is never a close up of it in any episode. Can anyone tell me what it is? Thanks. I know what you are referring to. TBH, it looks more like an electrical bus bar, but, judging by the spacing (and the gaps), it could be part of a musical instrument. Perhaps a keyboard. ETA: Here's another picture of it, along with an aluminium case, that looks like it would fit inside. ETAA: It's an antique fuse holder with fuses. Thank you for the close up photo. I agree, it appers to be an electrical bus bar with fuses. How did you get a close up image? Well, now I can enjoy the show without having to ponder what it is. How did you get a close up image? I did a Google image search for "Sheldon and Leonard's apartment layout". I spotted the image with the red highlighting, clicked the link, and found the page. Wow, I thought it was a rather obscure question that only a stage hand could answer. It turns out that I was not the only one with the same question. Thanks! Now... my wife is begging me to ask you, "Are you 'The' Dr. Stephen Hawking? The discoverer of Hawking Radiation, among so many other discoveries. I am rolling my eyes at her...'cha right, Physics is only a part time gig for him...the newbie threads at the Big Bang Theory TV show forum is where he does his best work... Everybody knows that [laugh].